After Removing Congress’ Fake Accounts, Facebook Downplayed BJP-Linked Fake Accounts? Facebook did not investigate further to reveal that Ahmedabad-based Silver Touch is behind the pro-BJP page 'The India Eye' that is followed by 2.6 million accounts. Facebook, which has created a mini-storm in Indian politics by revealing it removed fake pages, groups and accounts linked to the Congress, surreptitiously skipped mentioning the Bharatiya Janata Party (BJP). Downplaying the BJP bit is clear when you deeply scan the blog post by Nathaniel Gleicher who is Head of Cybersecurity Policy at Facebook. He claimed that the company removed 687 Facebook Pages and accounts that engaged in coordinated inauthentic behaviour in India and were linked to individuals associated with an IT Cell of the Indian National Congress (INC). “While the people behind this activity attempted to conceal their identities, our review found that it was connected to individuals associated with an INC IT Cell,” said Gleicher. Facebook’s investigation also found that certain individuals associated with an Indian IT firm, Silver Touch, were involved in the coordinated inauthentic behaviour and removed 15 pages, groups and accounts linked to the firm. In this case, Facebook did not investigate further to reveal that Ahmedabad-based Silver Touch is behind the pro-BJP page “The India Eye” that is followed by 2.6 million accounts, and is there for everyone to see but the social media giant. “They posted about local news and political events, including topics like the Indian government, the upcoming elections, the BJP and alleged misconduct of political opponents including the INC,” noted Gleicher. In the case of the Congress, Facebook went the extra mile to find the link, but it did not think it necessary to investigate further to find the BJP link in the case of Silver Touch which ran the BJP-leaning Facebook Page and is also associated with creating the NaMo app. Another point that Facebook downplayed was the amount of ad spend. In the case of the Congress, 687 Pages and accounts (138 Pages and 549 Facebook accounts) spent a little over Rs 26 lakh but 15 accounts related to Silver Touch (1 Page, 12 Facebook accounts, 1 Group and 1 Instagram account) spent Rs 48 lakh. In the case of Congress-linked accounts, the first ad ran in August 2014 and the most recent ad ran in March 2019. In the case of Silver Touch, the first ad ran in June 2014 and the most recent ad ran in February 2019. It took five years for Facebook algorithms to spot these ads, before the social media giant realized these were involved in coordinated inauthentic behaviour, and took action 10 days before the first phase of voting begins on April 11. Facebook also removed 227 Pages and 94 accounts in India for violating its policies against spam and misrepresentation. “These Pages and accounts posted massive amounts of content across a network of Groups and Pages in order to drive traffic to websites they are affiliated with in order to make money,” said Facebook. We do not know yet who these Pages and accounts belong to. The Congress said none of its official pages has been taken down and it was awaiting a response from Facebook to give it a list of pages/accounts that were removed. The Congress has also questioned Facebook if the downplaying BJP was owing to the ad spend on its platform. 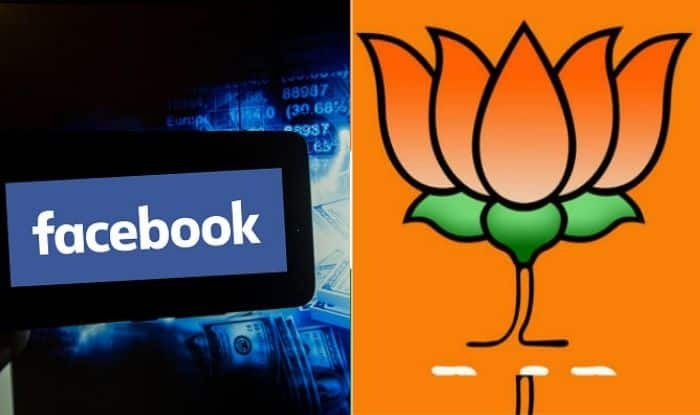 Of Rs 10 crore spent on political advertising on Facebook till last month, the BJP and its affiliates had spent over Rs 5 crore which is over 50 per cent of the total amount. In this whole saga, there’s definitely more to it than meets the eye.